Our ONLY priority is your satisfaction. Contact us (email, call, text, carrier pigeon) and we'll get you on the schedule. We have evening and weekend inspection times available, and there's no extra charge for that convenience! Your home inspection will usually take 2-3 hours, depending on the size and condition of the home. You're welcome to follow along as we inspect, but many of our clients prefer to arrive near the end of the inspection for a 30 minute to 1 hour "inspection review", which is an opportunity for you to ask any questions you might have as we walk-through the house together reviewing anything we might have found. We'll walk the roof, Inspect the exterior, structure, plumbing, electrical, HVAC, garage doors, windows, grading, and more! (see our full Standards of Practice here) In addition to pointing out repair opportunities and safety concerns, we'll also show you where turn on/off your Water, Electric, and Gas. When you call to schedule, we'll recommend a time for you to arrive for the inspection review based on the projected time needed to inspect your particular property. After the inspection & walk-through, you get to decide if we've earned your money or not. 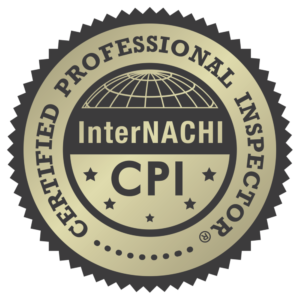 If you are not completely satisfied, not only will we refund/waive our inspection fee (100%), we will also pay for another certified inspector of your choice (100%)... We are so confident in what we do that we are willing to back it up... 200%. Our Inspection reports include photos, checklists, and narratives(see the sample report link above). Reports are usually delivered via email within 30 minutes to 1 hour of the inspection 99% of the time. If you prefer a hard copy, that can be arranged as well, upon request. Please contact us as often as you like with questions about your home and/or the report. It's our goal to be your building consultant for life! We prefer to receive payment at the time of the inspection when possible. We accept checks, cash, and credit cards. We understand, though, that sometimes closing costs are negotiated to be payed by the seller and including our fees in the closing costs can help you out, and we're cool with that. If billing to closing, we require financial assurance in the form of a check before the report can be delivered. Payment is due within 60 days of the inspection. We will hold your check for up to 60 days (or until we receive payment through closing, whichever is sooner). Once payment is received from closing, your personal check will be destroyed.